WHEN I think of the Cadillac Escalade, I think of John Wayne. Tall, true, and totally American. A rare original. So it felt fitting last weekend when I took the 2015 Cadillac Escalade Platinum Edition out past Rockaway Beach, New York, to do something that feels drenched in Americana: surfing. No mind the dusting of snow we got the night before, nor the 1°C water. Swells crested at 8ft in crunchy overhead sets: perfect. At least that’s what they told me. I had loaded three dudes and a 41kg pit bull into the hulking beast of a car, and drove them along Highway 495 toward the waves. We strapped their boards to the top of the rig and threw their thick wet suits, gloves, boots and blankets in the middle. The pup, a calm (if clingy) four-year-old, sat in the far rear — we had only to push one button to flatten the third row of seats to accommodate him. In fact we all felt accommodated: as the driver, I liked the car’s 6ft-plus height, casual drive style and the step-up baseboards that unfold automatically every time you open the door. The guy sitting shotgun appreciated the Bose surround sound system as he streamed reggae from its 16 speakers, and a guy in one of the captain’s chairs behind us (a surfboard maker) admired the opulence of the leather seats and fine wood grain trim. “Dreamy,” he sighed. Both passengers in the back promptly fell asleep on our way home, with their throne-like seats reclined and Junior Murvin playing in the background. I can’t think of a vehicle that would have suited us better. A big part of my job to critique cars is to understand the purpose of a given automobile and then determine whether it fulfills said purpose. I’m of the opinion that to every car there is a season, and a time. Each one should live up to its raison d’etre. For instance, nearly nothing can beat a Porsche 911 for the money when it comes to having fun on a highway and whipping around town by yourself — but it’s completely impractical as a town car or weekend getaway ride if you have any friends with you. And I love a Mercedes G-Wagon for its opulence, off-road capability, and incredible drive power — but I would feel like a jerk driving it around Bushwick, New York. It’s just too obvious. Out there, I’d rather be in an old Saab. The Escalade is exactly what it is supposed to be — a big rig that embodies American independence, audacity and opulence. It’s no surprise this was Cadillac’s best-selling model last year. This is not an off-roading sport utility vehicle (SUV), and not a cosmopolitan crossover; this is an urban truck. By which I mean it drives like a truck but belongs in the city. It’s fitting that they are assembled in Texas. 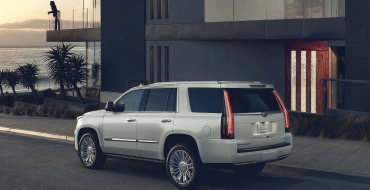 Cadillac first debuted the Escalade — its first SUV ever — in 1999; it created the car as a weapon against the Lincoln Navigator and as a luxurious foil to the Chevrolet Suburban and GMC Yukon. Since then the eight-seat model has improved efficiency, currently using a 420hp V8 engine to eke 15mpg (6.38km/l) in the city and 21mpg on the highway. That’s comparable to others in its class, like the Navigator. The car remains uncompromised in its stable ride quality and drive strength through all of its eight-speed automatic gears. It’s not as refined as an SUV from Mercedes and not as aggressive as those from Porsche. The brakes could have used a little more intensity, and its sheer torque could have been more insistent at slow speeds, but I get it. This big boy weighs 3,311kg. It’ll get there when it gets there. I should mention that the base version of a stripped-down Escalade costs US$73,000 (RM264,260), but you should choose the more expensive Platinum Edition for its creature comforts. They’ll make you feel like an American tycoon. You’ll get Nappa leather, massaging front seats, an ice cooler and noise-cancelling headphones. (Seven-inch LCD screens paired with a 9in screen that drops from the ceiling allow passengers to play video games on the two lower screens while a movie plays on the larger one.) Cadillac has also added the new company emblem (sans wreath), a redesigned front grille and 22in wheels. Loved those chrome rims. So unapologetic. All of those fancy features will also cost you. The Escalade Platinum Edition starts at US$91,000 — a US$9,000 jump over last year’s price — and the version I drove included a couple of thousand dollars’ more worth of upgrades (the rims, for instance, cost US$600 extra). You could compare it against things like the US$81,000 Toyota Land Cruiser and US$63,000 Mercedes-Benz GL-Class.